Here's the thing. Everything was going great until I read this directive: "The pie is finished when the edges are set and puffed slightly and the center is no longer liquid but still quite wobbly. Be careful not to overbake or the custard can separate; the filling will continue to cook and set after the pie is removed from the oven." Matt and I pulled the pie out of the oven and decided that that's exactly what we had: slightly puffed edges with a still quite wobbly center (though no longer liquid). We also decided that potentially overbaking and causing the custard to separate was a fate to be avoided at all cost. But three hours at room temperature later, our pie wasn't even close to set up in the center. We threw it in the refrigerator and hoped that by the time we were ready for dessert, it would be too. Only it wasn't. But as previously mentioned, we ate it anyway, liquid center and all. The possible takeaway lesson? 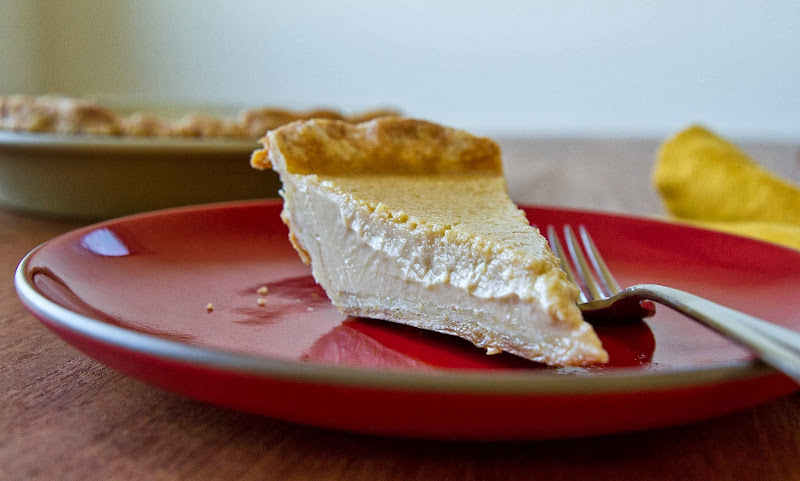 Don't be afraid to leave this pie in a little longer than specified. Plus, for me at least, I think I'd prefer a separated custard to a liquid one. Either that or the next time I make this (and I think there will be a next time as, on the second day, it was basically everything I've ever wanted in a pie) I could make it the day before I'd like to eat it, thus leaving time for it to spend the night in the refrigerator. Point being, I hope your 2014 includes at least four to five homemade pies and zero cleanses guilted upon you by the January onslaught of articles and recipes titled something to the effect of, "Planning Your Perfect Cleanse" (unless of course, you really want to cleanse, then, please, by all means!). Position a rack in the center of the oven and preheat the oven to 325°F. 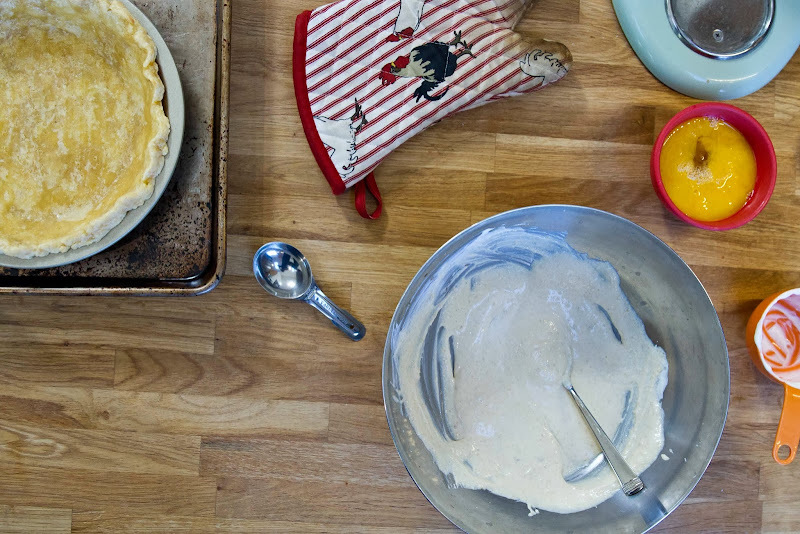 Place the prebaked pie shell on a rimmed baking sheet. In a large bowl, mix together the flour, cornmeal, brown sugar, salt, and melted butter. Add the vanilla paste (or vanilla extract) and the sour cream and stir until smooth. Add the eggs and egg yolk one at a time, blending well after each addition. Add the maple syrup and buttermilk and mix until smooth. Bake on the middle rack of the oven for 45 to 55 minutes, rotating 180 degrees when the edges start to set, 30 to 35 minutes through baking. 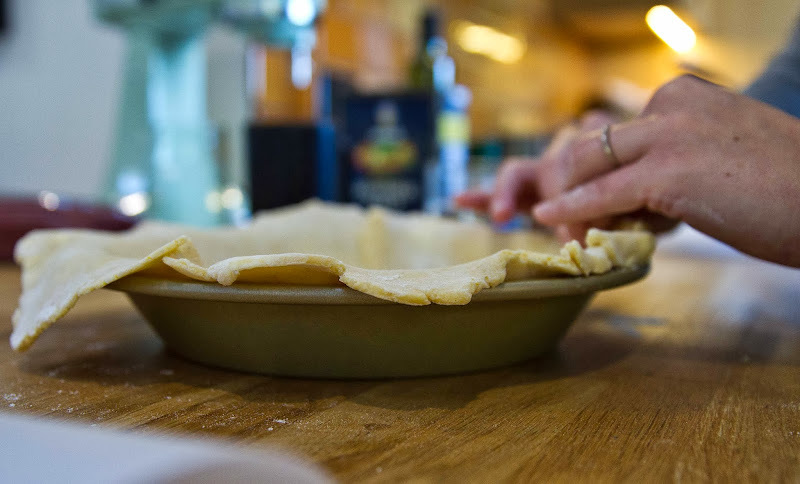 The pie is finished when the edges are set and puffed slightly and the center is no longer liquid but still quite wobbly. Be careful not to overbake or the custard can separate; the filling will continue to cook and set after the pie is removed from the oven. Allow to cool completely on a wire rack, 2 to 3 hours. Serve slightly warm, at room temperature, or cool. The pie will keep refrigerated for 2 days or at room temperature for 1 day. Stir the flour, cornmeal, salt, and sugar together in a large bowl. Add the butter pieces and coat with the flour mixture using a spatula. With a pastry blender (or using your fingers like we did), cut the butter into the flour mixture, working quickly until mostly pea-size pieces of butter remain (a few larger pieces are okay; be careful not to over blend). Combine the water, cider vinegar, and ice in a large measuring cup or small bowl. Sprinkle 2 tablespoons of the ice water mixture over the flour mixture, and mix and cut it in with a bench scraper or spatula until it is fully incorporated. Add more of the ice water mixture, 1 to 2 tablespoons at a time, and mix until the dough comes together in a ball, with some dry bits remaining. Squeeze and pinch with your fingertips to bring all the dough together, sprinkling dry bits with more small drops of the ice water mixture, if necessary, to combine. 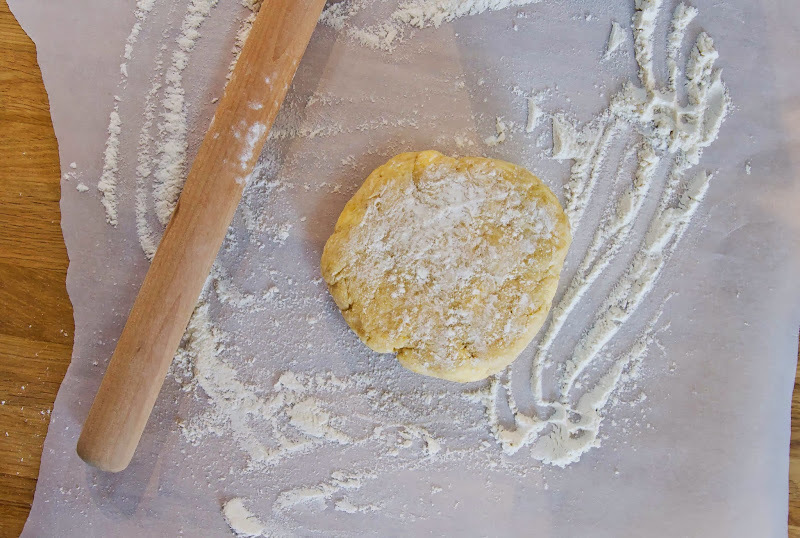 Once dough has been chilled in the refrigerator for at least 30 minutes, roll it out and shape it into a 9-inch pie plate. Use a fork to prick all over the bottom and sides, 15 to 20 times. Place the shaped crust in the freezer. Position the oven racks in the bottom and center positions, place a rimmed baking sheet on the lowest rack, and preheat the oven to 425°F. When the crust is frozen solid (about 10 minutes), line it tightly with a piece or two of aluminum foil. Make sure the edges are completely covered and there are no gaps between the foil and the crust. 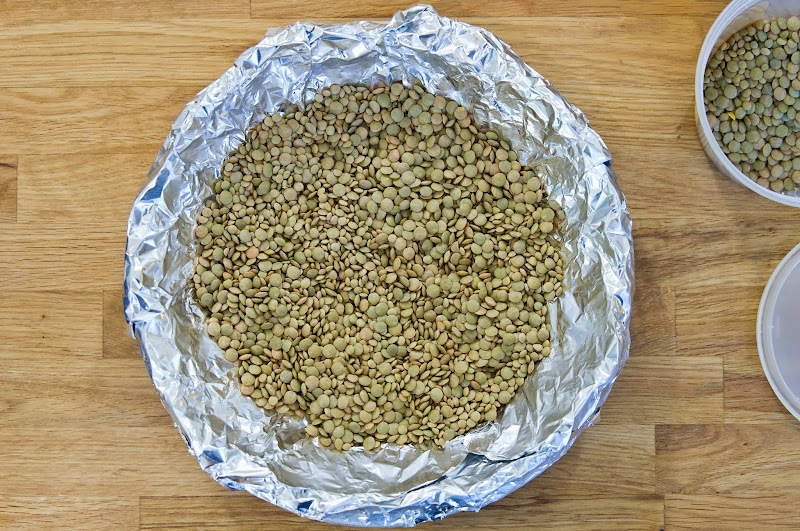 Pour pie weights or dried beans into the pan and spread them so they are concentrated more around the edge of the shell than in the center. Place the pan on the preheated baking sheet and bake for 20 minutes, until crimped eges are set but not browned. Remove the pan and the baking sheet from the oven, lift out the foil and pie weights, and let the crust cool for a minute. 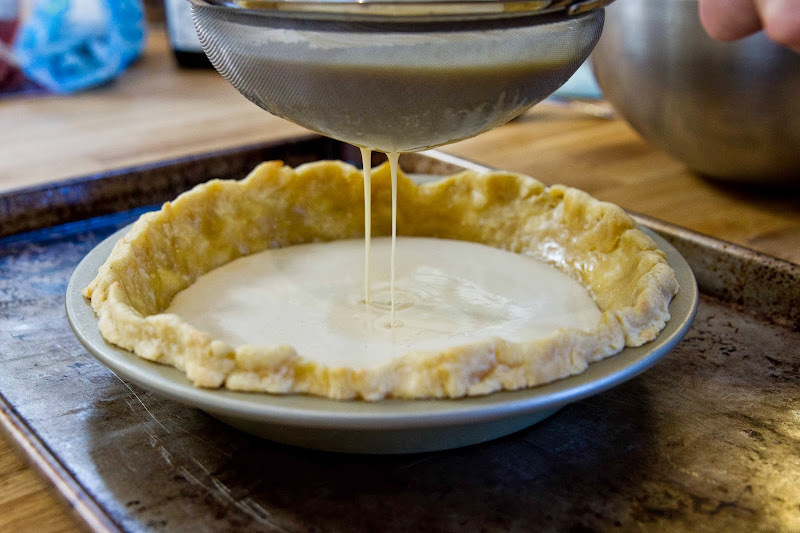 Use a pastry brush to coat the bottom and sides with a thin layer of egg white glaze (1 egg white whisked with 1 teaspoon of water) to moisture-proof the crust. Return the pan, on the baking sheet, to the oven’s middle rack and continue baking for 3 more minutes. Remove and cool completely before filling. I'm gonna try it... I have my eyes on this cookbook. I went a week over with both of my pregnancies. It does get uncomfortable, but before you know it you'll be in baby world (which is crazy but FUN). Excited for you; it won't be long now! This sounds amazing and I actually have decided that this is the year I'll bake my first pie. But...are those LENTILS in the picture? Or just really really tiny clumps of butter and cornmeal before you smooshed it together...? Happy baby having! So excited for your baby born post! Also, I love custard pie and will add this to my list of must try and eat! Dude! Four days! That's nuts. I was going to write something about how the buttermilk pie should stay in the oven longer but "I hope your baby doesn't" or something, but it sounded creepy and like there was an actual oven involved. Baby metaphors are hard. Good luck, you two! Can't wait to hear about it. This looks amazing! And so excited to hear about the little one's arrival! Haha, cleanses!! Who would ever...? 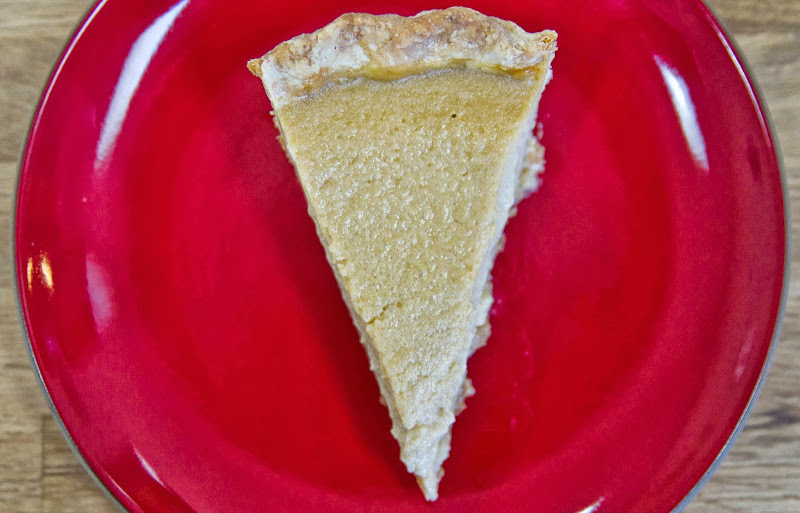 I'm curious, what does the cornmeal in the pie do and can it be omitted r substituted for something corn free? My son is allergic to corn. Obviously, I wouldn't use the cornmeal crust, either. ;) Thanks. Hi there… Honestly, I'm not sure what the purpose of the cornmeal in the pie filling is… Probably as a thickening agent? Sorry! I would probably just double / substitute with the all-purpose flour. Good luck! 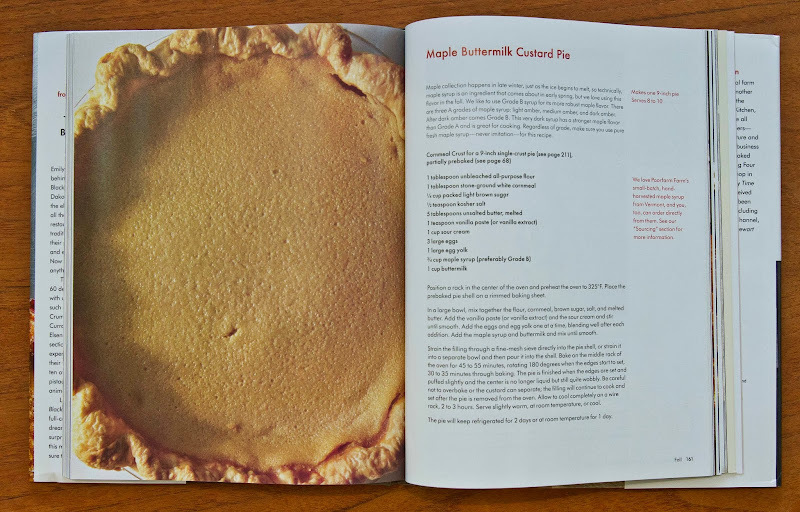 I've been seeing buttermilk pies ALL OVER THE PLACE lately and am excited to try your recipe! I'm wondering, though - my old standby with buttermilk is typically to add vinegar to regular milk and let it sit - perhaps I should skip that method and get genuine buttermilk this time? I just wondered if I could get away with that method this time, since other than that I have all the ingredients for this pie! Wow it looks tasty and am getting tempted when seeing it. Well there are things which will make others to get attracted like wise your blog is such an attractive one. Hi Kirsten! 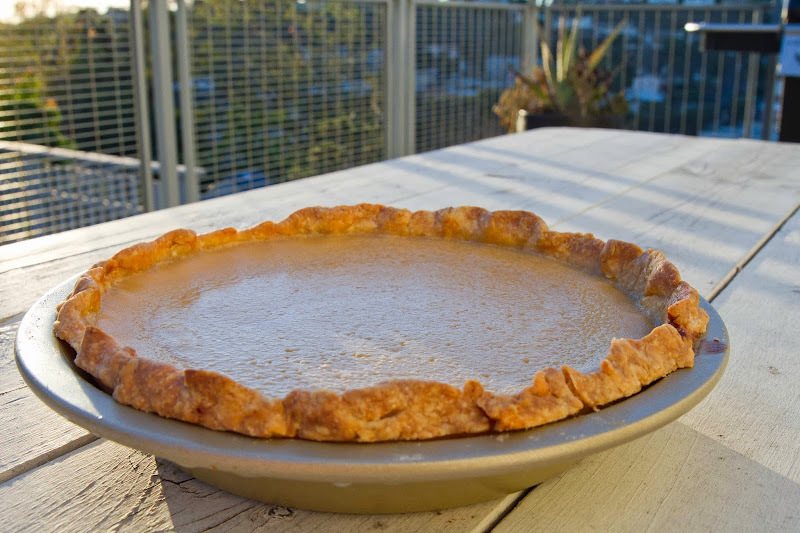 Did you see the buttermilk pie they made in Season 2 of Mind of a Chef? (That's what got me wanting to make one.) Point being, I don't know why you couldn't use your vinegar + milk method? I say go for it! and pretty sure they make good foods that they crave for as well. Amelia I found your post looking for the buttermilk pie like Mom used to make. I have baked her custard pies ~ such a delight ~ and wanted to try the buttermilk one, but no recipe. Tried to wing it, but ... bleah. I can add this for your unbaked center: wet a knife and insert just outside center, when it comes out clean it is done! It will firm as it cools. Thanks so much for the tip and the well wishes, Judy! Hi! I was wondering if I could make and or bake the par-baked crust in advance--like 1-2 days? and if so, how is it best stored? Unfortunately, the book I got this recipe from doesn't say anything about pre-baking the crust in advance. That being said, you could always try it? And then maybe store it inside a ziploc freezer bag in the fridge? You could definitely make the dough in advance though--it can be refrigerated for up to 3 days. Good luck and happy Thanksgiving! This has been one of our thanksgiving pies the last two years, it's a real gem! May I offer a suggestion? 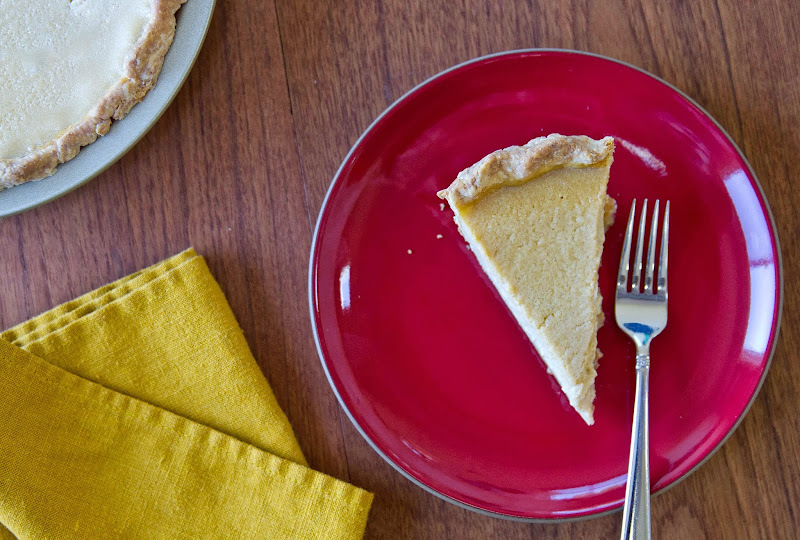 Deep dish pie plates (like the one in the pictures above) are not ideal for custard pies. They tend to result in the exact problem you described--longer than expected cooking times + under or overdone custard. Try a standard, shallow pie plate (like the cheap-o clear pyrex kind) and you'll find this problem goes away.